My Christmas gift from my partner to have a day with Total Car Control came as a big surprise – to think she thought I could benefit from instruction in fast, safe driving indeed! I immediately booked this to suit our busy schedule and took the first full day course this week, and what a course! It was just so good because Ivan asked me exactly what I wanted to achieve and gain from the full 7 hours spent in my own car – and then he simply and skilfully crafted the day around my ideals and expectations; which were to be sharper, faster, safer, to understand the limits of the car AND the driver, and to maximise my enjoyment of my Audi R8 V10 Plus to the full. The specialist tracks at Millbrook Proving Ground simulate many aspects of real roads and then accentuate and exaggerate them, i.e. surfaces, cambers, corners and all, and we set off to discover my time ingrained issues and how to smooth them all out; and boy what a difference we made over the day. 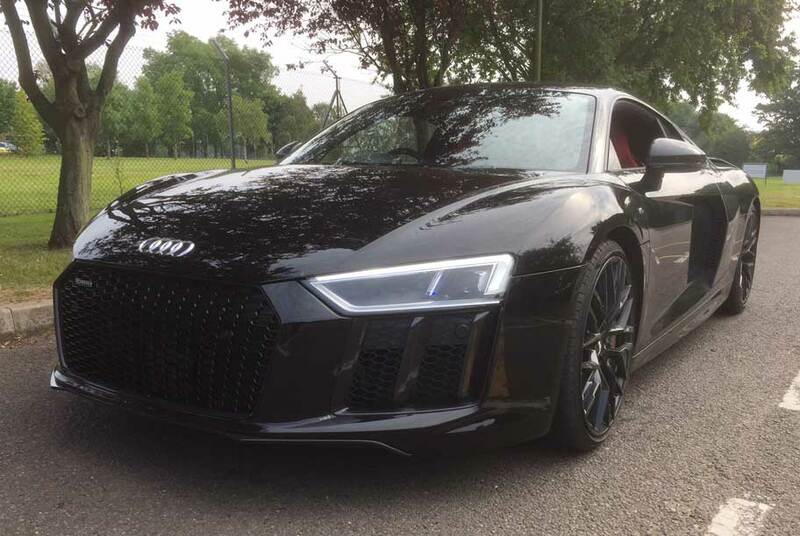 In the morning, first thing, the car felt like it needed to be beaten and wrestled to get the most from it, with me working hard and thinking the R8 was pretty quick. As time went on and many small but key adjustments were made and smoothed out, almost massaging away the roughness and injecting silk and finesse, the car became easier and better to drive; better than ever – absolutely awesome in fact. And faster, so much faster – and so much so I couldn’t even look at the speedo! Feeling this connected and in-tune with my car was like that sweet spot when you hit a golf ball with the big driver that once in a lifetime and smack down the middle it goes into the distance where you can no longer even see it; just so incredibly satisfying. This was the result of some pretty sensible logical understandings of the car, my inputs and the relationship between my hands and BOTH feet – a lot to take in and get right, but as Ivan puts it across so well and lives with the errors until sorted, big steps were made this very first day. There will be more visits to Total Car Control and more to do on the track and road, but in a nutshell for you… This course should be compulsory for anyone other than a racing team trained driver to complete – you will learn from Ivan and get so much more from your car! Do it and become as one with your car and with the road. It was just so good because Ivan asked me exactly what I wanted to achieve and gain from the full 7 hours spent in my own car – and then he simply and skilfully crafted the day around my ideals and expectations; which were to be sharper, faster, safer, to understand the limits of the car AND the driver, and to maximise my enjoyment of my Audi R8 V10 Plus to the full. As time went on and many small but key adjustments were made and smoothed out, almost massaging away the roughness and injecting silk and finesse, the car became easier and better to drive; better than ever – absolutely awesome in fact. And faster, so much faster.